It is old news that metro Denver has had record breaking low inventory as of late. This is driving real estate prices up and pricing some buyers out of the market. But Denver is also in a “rental crisis” that is even more extreme, making home buying a better option than renting. Still, with the astounding gains in 2013 followed by year after year after year of significant appreciation, it’s only natural to wonder if we might be nearing the top. The question is really multi-faceted. 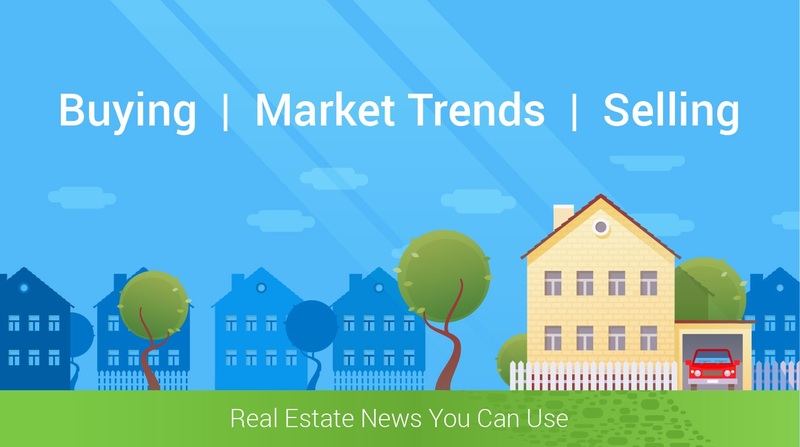 There are different time frames to consider when analyzing the real estate market. First, there is the question of seasonal timing, which can be even further broken down into which days of the month are best to close. Rounding out July, we have already seen a cool-down in metro Denver’s real estate market. Most notably, the luxury home market has already felt the seasonal deceleration with a 20.69% decrease in sales volume month over month, according to the August 2017 DMAR Real Estate Trends Report. Historically, inventory peaks in August as the vast majority of sellers have already listed their homes for the year and many buyers have either already purchased or made other plans. Through the rest of the year, inventory will slowly decrease as sellers start the new school year and hunker down for the holidays, and buyers looking for a deal pick up the remaining inventory for more affordable prices from motivated sellers who failed to sell during peak season. In the lower price points, sellers can still look forward to cashing in on the appreciation we’ve seen due to the low inventory and lack of options, and buyers will have more to choose from this month. But what about 2017 as compared to years past and years in the future? Obviously, a better time to buy would have been last year, and even better the year before that… and so it goes. Going forward though, we may be nearing a top. Not a crash. A top. Condo inventory is up 11.42% year over year and correspondingly, average and median sales prices have dropped. Single family home inventory is down 4.76% with average sales prices up 1.89% and median sales prices down 0.77%. According to Ingo Winzer, Forbes Contributor, “Once prices do peak, a crash is only likely if the local economy is poor. If job growth remains reasonable, prices are most likely to just level off.” And the market will likely decelerate before it stays flat. Keep in mind, the market doesn’t peak when prices decelerate. Deceleration of the market simply means that prices are not going up as fast as they were. So a market that saw a 10% increase in average sales prices last year would be decelerating if this year it only saw an 8% increase, even though this is still a significant price appreciation and more than beats inflation. The U.S. Bureau of Labor Statistics reported Denver job growth has been declining to some degree in the last two years, but it still remains above the national average. Colorado had the lowest unemployment rate in June (tied with North Dakota). So in the near term, there wouldn’t seem to be a problem and this is evidence for further appreciation for homeowners. However, with unemployment so low, the number of workers looking for jobs is also low. Thus, to attract new talent, businesses may have to increase pay and thereby create an inflationary environment that may ultimately cause the gravy train that has been the Colorado real estate market to come to an end. Scout Vision, a home price forecasting tool that came out earlier this year, predicts that we will see continued appreciation into 2019, followed by a decline for the following three years netting at about 11% lower than prices are currently by 2022 in metro Denver. If this is true, now is the time for buyers that have the ability to buy and hold through any potential pull back. (Remember folks, your primary residence is not generally a short term investment). Waiting a year or two, a buyer might be buying closer to the top. As for sellers, they are generally going to be buyers too, so now would be a safe time to sell in a market where prices have appreciated at an astounding pace in the last four years, and buy in a market that still has room to grow. Further on the horizon is the impact that the Baby Boomers will have on the market. The Bipartisan Policy Center predicted that Boomers (born 1945-1965) will try to sell 26 million homes by 2030. However, Boomers don’t necessarily live in homes or locations sought by Millennials and Generation X who often prefer smaller homes in more urban settings. This will no doubt have an impact on the market and may depress the market in some areas. Boomers may want to consider downsizing ahead of their peers while inventory is still low to avoid what could likely be a larger hit to their home’s market value than they will be able to make up for in purchasing a smaller empty-nester abode. Now is a good time for buyers and sellers alike in a lot of respects. But if you are looking at the investors who picked up properties in 2011-2012 and have already sold for substantial profits, or the folks who just happened to catch a break from a quick buy and sell after the recession, that time has passed. The market is cyclical and it may come again in some form. However, the strategy right now should be to get ready to sell unless you are ready to hold into the unforeseeable future. And for buyers, jump in and try to take advantage of the appreciation forecasted through 2019 and hold through a pullback thereafter.